I was about to go see The Hobbit: The Desolation of Smaug in the theater when it left town. At first I wasn't going to bother because I was so disappointed by An Unexpected Journey. But friends kept saying it was better and worth seeing. But I didn't and had to wait for it to come out on Netflix. I watched it last night. I believe that as an entertainer (writer, movie director, singer, whatever) you want to leave your audience wanting more. For example, in The Empire Strikes Back, you didn't want the asteroid-dodging space chase to end. You didn't want the speeder bike chase through the Endor Moon forest to end in Return of the Jedi. And you wanted more when they did end. Lucas did this beautifully in the first three Star Wars movies (first as in when released, not first as in order they take place). Yes, sometimes his climatic battles dragged on a bit (especially in Jedi) but he managed to keep them interesting with dazzling special effects. Lucas seemed to have forgotten this when he made the three prequels. I remember going from "Oh, that's cool" to "when is this going to end" with the interminable battle sequences of Episodes I, II, and III. I wonder if because CGI is so much easier and cheaper than live-action or model/bluescreen effects, Lucas was able to make the scenes go on and on when before he couldn't afford to. And this is the problem that both Hobbit movies suffer. The chase/fight scenes go on forever. For instance, as they are escaping the elves' lair and being attacked by orcs and Legolas and that chick elf were fighting the orcs, it started out fun and exciting, but as the sequence went on and on, it started getting boring. Yes, Legolas shooting orcs with his bow while standing on dawarves in barrels was marginally cool. But by then I was starting not to care. Please, Mr. Jackson, just because you can film it, doesn't mean you have to film it. Please leave us wanting more, not less. Do not hammer us with your CGI brilliance. You did this in Lord of the Rings (mostly), why are you not doing this in The Hobbit? Oh, and an elf/dwarf romance? Puleeese. The Hobbit: The Desolation of Smaug has it's brilliant parts. But they are interrupted by long, never-ending battles. The film could have been amazing (despite the violence done to Tolkien's original work). But it is merely okay. 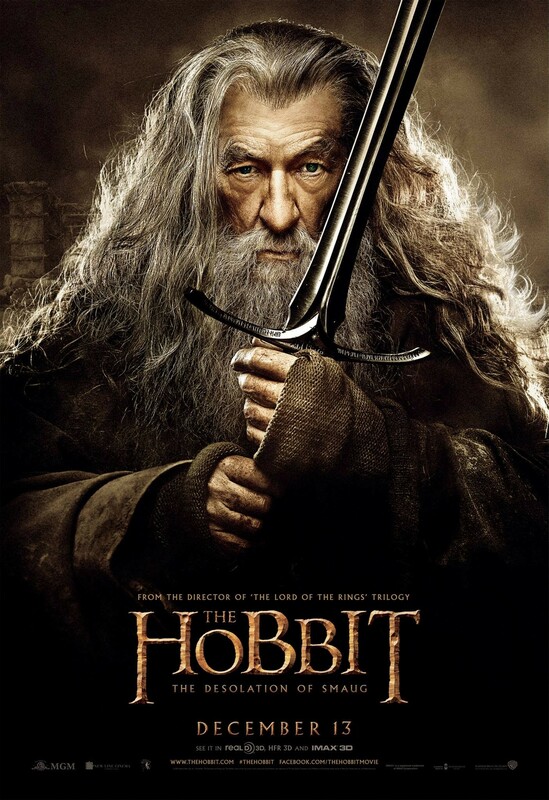 I enjoyed the first Hobbit but unlike this second one, it didn't leave me wanting more. It was good and I knew I wanted to see the second one but I wasn't at the edge of my seat like I am waiting for the next Game of Thrones episode (even though I have read the book the current season is based on). I respectfully disagree with you on the escape from the elven lair but I also concede that I can spend hours watching impossible action in Kung Fu movies. I am with you on much of the other action sequences, though. I am anticipating the third installment much more than I did the second one.